The NHL Trade Deadline is at 3 p.m. Wednesday, March 5. The standard fantasy hockey league trade deadline is the very next day. In order to have you fully prepared, NHL.com fantasy hockey expert Matt Cubeta will provide you with a three-part "Fantasy Hockey Trade Deadline Decisions" series. Each part will feature a different list of players. Part 1: A list of players who could be traded before the NHL Trade Deadline and how it would affect their fantasy value. Part 2: A list of players Cubeta believes you should be trying to acquire before your deadline -- also known as buy-low candidates. Part 3: A list of players you should be trying to trade away before your deadline -- also known as sell-high candidates. Remember, when you're trying to make a trade, don't be afraid to start your negotiation off a little higher than what you're hoping to eventually land. You can always lower your asking price, but you won't be able to raise it if the other person you're trading with already accepts the deal. Take away Spezza's minus-23 and you're looking at an elite fantasy player, like many of us expected back when we drafted him. That rating is killing his value -- so much so that he is actually ranked all the way at 99 in Yahoo leagues. But it's only one category and the Senators are still a talented team. A little more luck and some better goaltending could go a long way in boosting Spezza's value. Right now Spezza's shooting percentage sits at 9.4 percent. His career mark is 14.0 percent. That's quite a difference. Throughout this story, I'm going to give you a bunch of players whose shooting percentages are well below their career averages and it's a good gauge for expecting a player to revert back to the norm for the final 20-25 games of the season. Of course, sometimes a player ends up getting a bit lucky for an entire season, but shooting percentage is one of the few statistics where we can spot whether someone has been lucky or unlucky. Either way, you should expect a few more of Spezza's shots to start finding the back of the net and both his goal production and plus/minus will improve. It hasn't been pretty of late for Sedin (no points in his past 10 games), but he produced a goal and four assists in six games for Sweden in Sochi. Despite not producing a point on Wednesday, Daniel did have have his brother Henrik Sedin back on his line, so that could help things going forward. The other thing, as with Spezza, is Sedin's abnormally low shooting percentage of 6.8. His career average is 11.9 and he was even as high as 15.4 when he scored 41 goals in 2010-11. 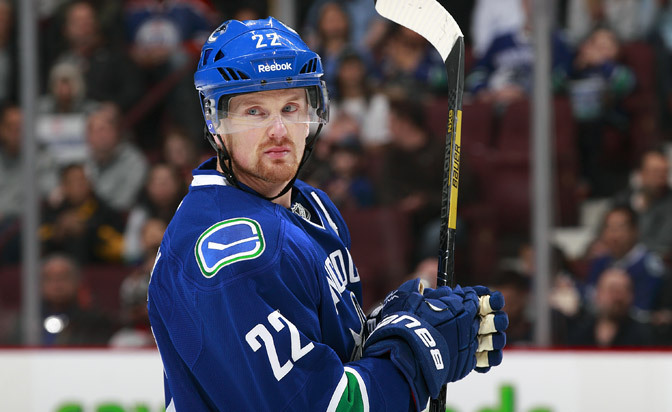 With a little puck-luck, Sedin should start scoring more goals and could return back to being a top-15 fantasy forward. Now's the time to acquire him. On average, Smith was selected as the 12th goalie back on draft day and right now he ranks 360th among all players. However, there's plenty of reason to think he can live up to that draft-day expectation for the remainder of this season. Since joining the Coyotes two seasons ago, Smith has been a regular top-10 fantasy goalie. But if you look at his current .913 save percentage, it's shockingly better than his .910 mark from last season, showing he's actually stopping more shots this season. Smith's February got off to a strong start; look for him to maintain that level of play the rest of the way. Stepan was arguably the best Rangers player not named Henrik Lundqvist last season with 18 goals and 44 points in 48 games, but this season he's just been a little lost. However, one important thing remains intact for Stepan: he centers the team's top line with Rick Nash and Chris Kreider on his wings. Nash also makes for a great trade target -- he should score plenty of goals in this stretch run -- but Stepan should find the back of the net more frequently as well. He's converted just 6.9 percent of his 145 shots on goal despite his four-year average of 11.2 percent. During his breakout last season, Stepan's shooting percentage was at 16.7, which may have been a little high. Still, you can expect this season's percentage to creep back up closer to 10 percent, which should result in a few more goals. Johnson's season got off to an ice-cold start with just five points and a minus-13 rating in his first 27 games. He slowly picked up his play and thrived in January with nine points and a plus-5 rating in 14 games. Johnson still averages 2:51 of power play ice time and with the return of Marian Gaborik you can expect him to carry his hot play for the rest of the season. If his fantasy owners haven't realized how good he's been of late, now's your chance to try and acquire him. Richards was once thought of as one of the most well-rounded fantasy players in the game. Now he's a player with just seven goals and 20 penalty minutes -- not exactly what any of us expected. 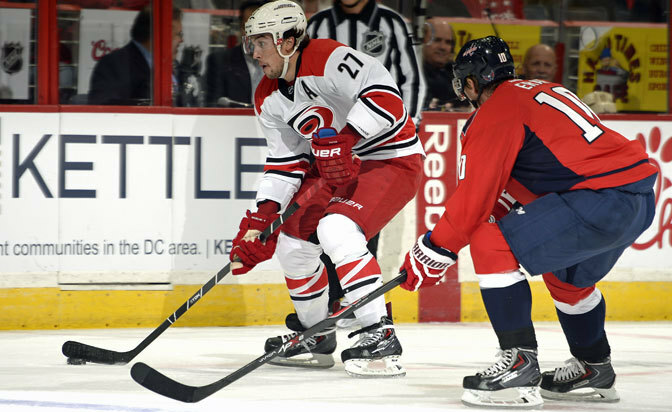 Though the penalty minutes may not return to old form, the goals should increase. Richards has been a victim of some extremely bad luck. He's shooting just 5.8 percent on his 120 shots on goal this season, which would be a career-low by far. His NHL average is 11.0 percent, and considering the fact Richards still averages 17:17 of ice time per game with more than three minutes of that coming on the power play, there's reason to be optimistic. Take out a disastrous November and December, and Kadri would probably be a top-20 fantasy player. Of course we can't just go and remove those 23 games in which he had 10 points and was a minus-9, but clearly Kadri has the potential to be a stellar forward, especially in fantasy where his 59 penalty minutes have been an unexpected bonus. He's certainly a streaky forward, but hopefully his hot play during January and February (four goals and 14 assists in 19 games) remain for the rest of the season. Faulk is available in 83 percent of Yahoo leagues so you might be able to scoop him right from waivers, but if not he makes for a nice trade target on the blue line. Faulk has miraculously scored on just 2.7 percent of his 110 shots on goal this year -- all of this coming after he was at 6.6 percent last season and 7.9 percent as a rookie two years ago. To say he's had some bad luck is an understatement. Of course he's a defenseman and a lot of those shots are slap shots from the point, but still, a little luck would have him with six or seven goals right now instead of three. Faulk still averages 2:20 of power play ice time and nearly 24 minutes of total ice time, and with Alexander Semin rounding into form and Eric Staal raising his game, perhaps Faulk's point production will soar during Carolina's final 24 games. Coming off a Vezina Trophy-winning season, expectations were quite high for Bobrovsky. Probably too high, honestly. And unfortunately, October saw him return to being just a "good" goalie, not a great one (2.60 goals-against average, .916 save percentage). Then things got even worse in November, where he won just five of his 12 starts and recorded a 3.00 GAA and an .896 save percentage. On Dec. 3, Bobrovsky sustained an injury that cost him just over a month of action. Since returning from the injury, we have once again been seeing the Vezina-winning Bobrovksy. In 14 starts he has allowed 30 goals against and has led the Blue Jackets back into the playoff picture. It may be a little late to buy low on Bobrovsky, but paying top dollar for him also makes sense because he's clearly back to his old self. The key with Eriksson's value will be where he plays in the Bruins lineup. On Wednesday night and prior to the Olympics he was skating on the third line, which means his fantasy value will be severely limited. But when Boston acquired the talented forward, he was clearly expected to be a top-six forward. Having posted two goals and an assist in six games, and looking like the old Loui Eriksson for Sweden in Sochi, there's a good chance he ends up back on one of the top two lines for the Bruins. If that happens, Eriksson's production should soar. His 8.5 shooting percentage should also increase closer to his career average of 13.8.